Flower power! Add a dash of fun and whimsy to your walkway, garden bed or potted plant. 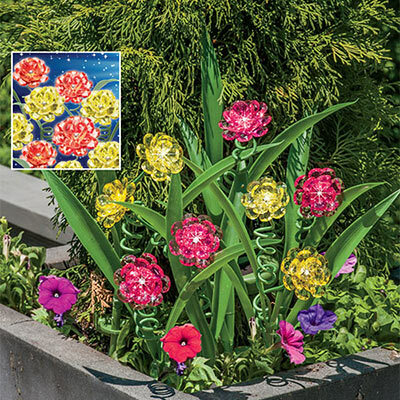 Translucent faceted acrylic petals with sparkling center on a bendable metal stake - this Yellow Colourful Flower Solar Stake will glow with a warm light from dusk to dawn. On/off button. 25"h. Hurry! Quantities are limited!